Systems Security Certified Practitioner (SSCP) is a premier security certification offered by ISC(2), ideal for those wanting to begin or advance a career in computer networking or security. This program will prepare you for this industry recognized certification, as well as a career in the information technology sector. Upon completion of the program, you will be given vouchers to take the Systems Security Certified Practitioner (SSCP) exam. This program will teach you the dynamics of data communications, including network security, telecommunications, remote access, firewalls, proxy servers, and wireless and cellular technologies. You’ll learn how to identify and mitigate malicious codes such as viruses, Trojans, logic bombs, social engineering, insider threats, data theft, DDoS, spoofing, Phishing, Pharming, and spam. You'll also explore authentication and access control methods. You'll learn about AAA and trusts, and you'll become familiar with identity management and cloud computing concepts. This program will prepare you for a career as a network administrator or security administrator. You’ll learn the dynamics of data communications, including network security, telecommunications, remote access, firewalls, proxy servers, and wireless and cellular technologies. 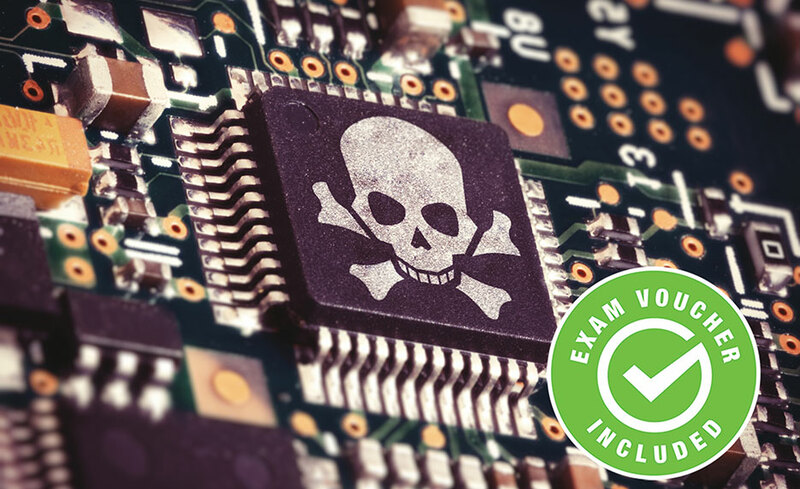 You’ll learn how to identify and mitigate malicious codes such as viruses, Trojans, logic bombs, social engineering, insider threats, data theft, DDoS, spoofing, Phishing, Pharming, and spam. As you move through the program, you will learn skills that will prepare you for Risk Management. This includes risk assessment, incident handling, business continuity, and disaster recovery plans, and you’ll examine dynamic cryptography concepts like PKI, certificates, and secure protocols. This program will teach you ethical responsibilities of a network administrator or a security administrator, as well as the vast range of administrative duties involved with the career track. You’ll learn about change management, security evaluation, topics of awareness, device security, data management policies, and analysis and system monitoring. When you register, you'll receive six (6) months to complete this program. This is an advanced level program. Students should have a base knowledge about computer hardware, networking, and security knowledge. It is recommended that students should either first take CompTIA A+ and Network+ or have the equivalent of two years of experience working with computers. All of our programs are self-paced and open enrollment, so you can start them when you want and finish them at your own pace. Upon registering, you’re given six (6) months to complete this program. All the materials you’ll need are included, and their cost will be covered by your tuition. Upon successful completion of the program, you will be awarded a certificate of completion. In addition, you will receive exam vouchers for the Systems Security Certified Practitioner (SSCP) exam after successful completion of the program and financial obligation. 13. What are the requirements to take the SSCP exam? Valid experience includes information systems security-related work performed or work that requires information security knowledge and involves direct application of that knowledge. For the SSCP certification, one year of cumulative work experience in one or more of the seven domains of the SSCP CBK is required. If you do not have the required experience, you may still sit for the exam and become an Associate of (ISC)² until you have gained the required experience. To take the exam, you have to schedule it at an authorized testing center scheduled through VUE. A score of 700 out of 1000 is required to pass. 14. Is the SSCP exam included in the cost of the program? 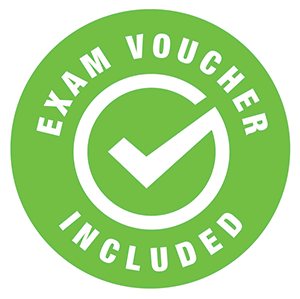 Yes, you will receive an exam voucher Systems Security Certified Practitioner (SSCP) after successful completion of the program and financial obligation.